This summer, it's time to learn how to party like a man - and that means being able to wake up the next morning and go to work, mow the lawn, or relax with the kids. To do that right, it means that you might need to change your drinking patterns but you can still have fun. Years ago I used to be able to drink beers and margaritas with little to no consequences. Unfortunately my body just isn't as forgiving these days, so here are a few tips that those of you like me can employ to help make this year a bit more fun and enjoyable! No matter what you do this summer, nothing is going to help if your plans involve consuming an entire bottle of tequila. So be smart and alternate your alcoholic drinks with non-alcoholic drinks including RESQWATER. This way you can maintain your buzz without going to far. I LOVE margaritas but lets face it - sugar, cheap "house tequila" and artificial dyes found in many margaritas are going to hurt you the next day (or later that night). You might mock them, but light beers are really good to drink when it's hot since they are low in alcohol and contain a high percentage of water. Take a break, relax, and stay out of the sun. While many summertime activities center around celebrating the bright warm sun, it's good to take a break occasionally. In fact, there's even a thing called a "Sun Hangover" because your skin can get irritated and inflamed - even if not "burned". This causes an immune response resulting in your being more fatigued and "blah" feeling. The overall key here is having a healthy lifestyle where you don't throw anything out of balance. That goes for making sure you remember to eat too. While there's a tendency to forget this if you have been drinking beer that's particularly filling, but make sure to eat something healthy. This will help your body "soak up the alcohol" but it will also help modulate your blood sugar too. Prepare Before You Go Out! By now most of you guys are experts at "pregaming", but this is a different sort of pregame ritual. 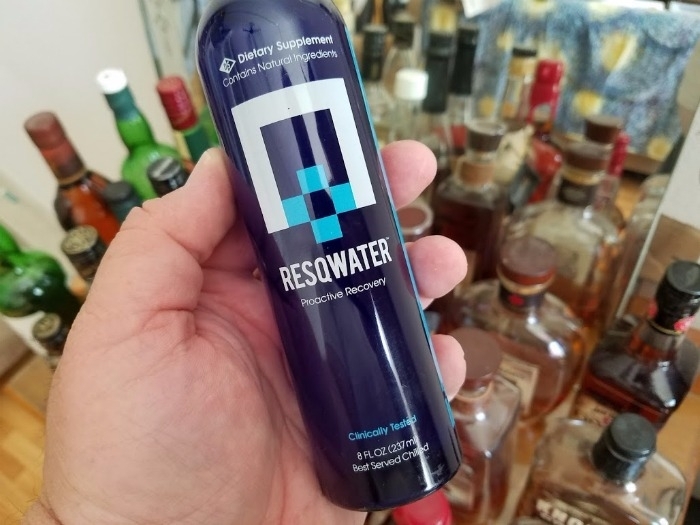 While most people think about taking care of a hangover after it is too late, RESQWATER wants you to enjoy a bottle before and after to stay hydrated but also keep your body chemistry balanced. Think of it this way ... would you rather have a headache that goes away, or one that never happened in the first place? N-Acetyl-Cysteine - binds to acetaldehyde, the toxic substance produced when your body breaks down alcohol. Electrolytes - helps replace important body chemicals lost through sweat and urination so that your muscles and nervous system can keep running properly. B Vitamins - may help reverse the depletion of protective enzymes as the body digests alcohol. Organic Prickly Pear Extract - protects proteins and lipids from damage as your body digests alcohol. Milk Thistle - silymarin helps to increase the activity of antioxidant enzymes and may help protect your liver against damage caused by excessive alcohol consumption. Organic Cane Sugar - to combat fatigue, weakness, and makes RESQWATER taste good and of course, water. Originally it was designed to help athletes but as you may have noticed after a particularly tough workout, the feeling of a battered body is often the same. So this is a great product to keep in your beer fridge to enjoy while working out as well as before you head out to those summer BBQs. 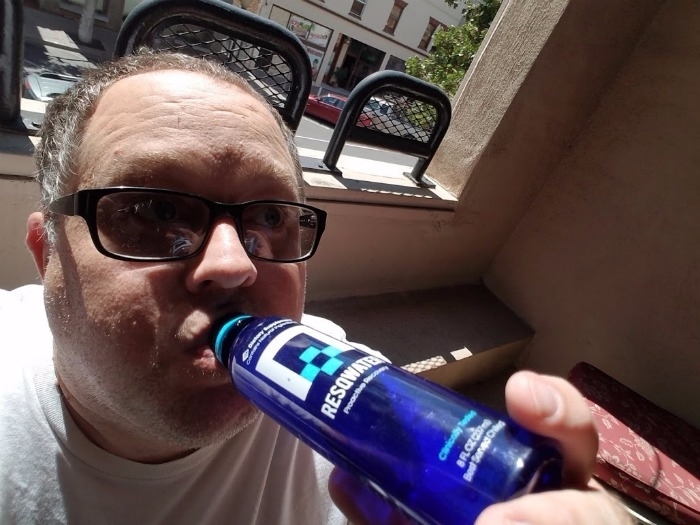 RESQWATER can be purchased online and a 6-pack is $25.50 including free shipping.